Tumblr has had advertising for some time, including its Gemini native ads, sponsored posts and videos, but it's failed to grow sales as quickly as parent company Yahoo has wanted. Well, today, against the backdrop of Verizon purchasing Yahoo, it is announcing paid promotions where its millions upon millions of bloggers get a cut. The ads will start appearing Thursday across its network of blogs, giving brands the potential reach of its 550 million monthly users. Tumblr bloggers have to opt out of the program if they wish not to participate. The company didn't offer specifics on the revenue split between itself and its users. 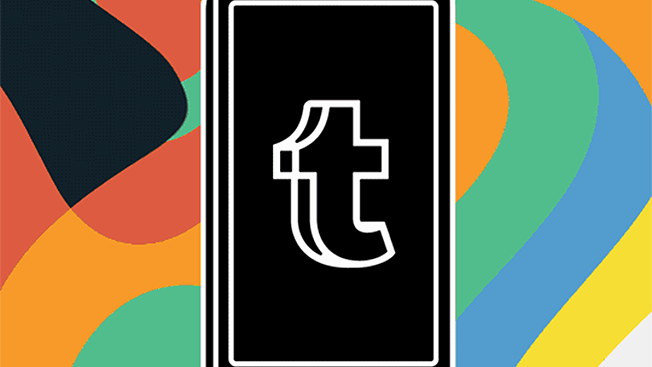 ​"​We continue to deliver ad solutions to grow Tumblr's business and maximize value for our advertisers and community," the company said in a statement. "Featuring Yahoo display and Gemini native ads across the Tumblr blog network is another example of these ongoing efforts." Tumblr has always held promise for advertisers wishing to connnect to creative-minded millennials. Under the new Verizon ownership, it will be interesting to see if the business finally blooms more fully. There actually may be more synergy between Verizon's wealth of mobile data and Tumblr's mobile-minded audience than there is between Verizon and Yahoo.